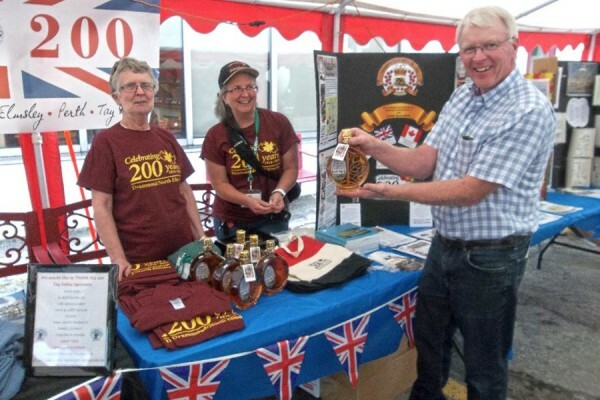 In 2016 the participants of the Perth Military Settlement 200th Anniversary Celebration, consisting of the original townships of Bathurst, Drummond, Beckwith and the Town of Perth organized an ambitious year-long celebration. The launch of the celebrations, in January, featured the much anticipated launch of the Historical Mapping Project. 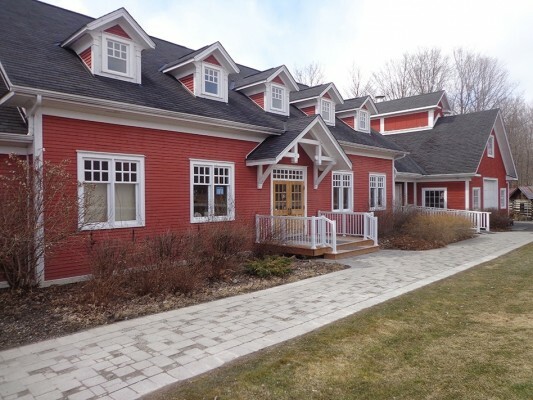 Undertaken by Barrie Crampton and with the assistance of CGIS, the project tells the story of the settling of the Perth Military Settlement, including all of the original Townships. Employing digital mapping technology and resurrected original maps of the survey of 1815, in an interactive electronic setting it shows the settlement of the soldiers and settlers by individual lot, concession, names of the original and subsequent families and also shares their stories for a lasting on-line legacy on the history of the current municipalities. Click here to view. 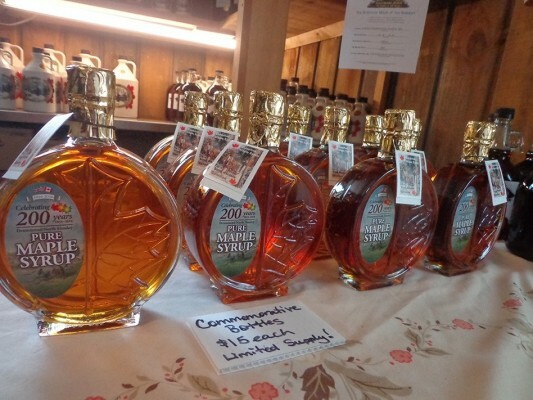 In April, three of the Township’s maple syrup producers (Coutts Country Flavours, Temples Sugar Bush and Oliver’s Mapleworks) teamed up to offer a ‘Pioneer Maple weekend’ on their properties where visitors got to experience farm life on a rural property as it was 200 years earlier. 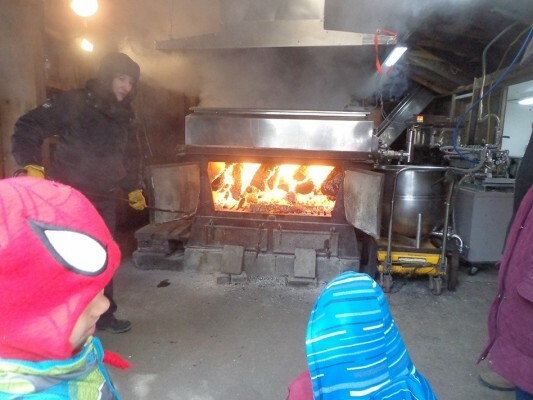 Activities such as sheep shearing, wagon rides, maple syrup production and taffy on the snow were available. 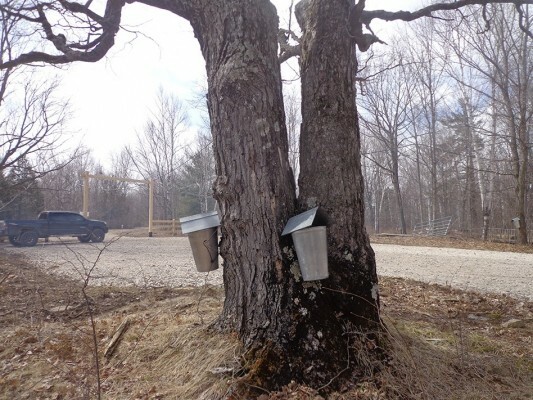 Together with the open houses, Bethel United Church on Port Elmsley Road hosted a pancake breakfast on April 2nd that provided fuel for many visits to the sugar bushes! A Re-enactment of the Settlers’ Route took place in May where several volunteers dressed in period costumes retraced the historic route taken by the settlers 200 years ago. The trek started in Brockville and found the Trekkers pass through Lyn, Athens, Delta, Portland and Rideau Ferry before entering the Perth Tay Basin. 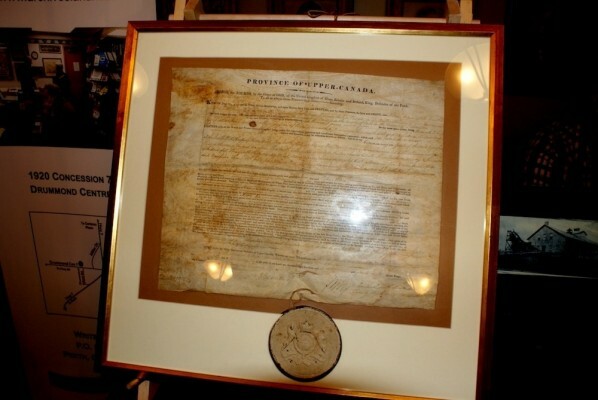 The Township hosted its signature event, in May, at the Municipal Offices with pioneer games as well as displays and booths that told the story of Drummond/ North Elmsley and its people. 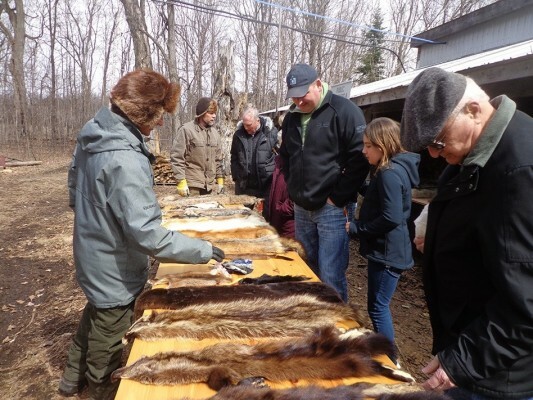 The event was highlighted by presentations honouring original settlers and their farms. A cedar rail fence demonstration of four unique fence sections remain in place today in tribute to this local specialty. Henry Norwood, Wade Foster and others performed throughout the afternoon. The 200th Anniversary Committee extends a special thanks to the Drummond Second Line Women’s Institute for catering a delicious lunch that was free to all. The legacy farms project recognizes family farms in both Drummond/North Elmsley and Tay Valley that have been operational for at least 100 years. Following an application process, over 35 farms in Drummond/North Elmsley, in 100 year, 150 year and 200 year categories have been identified and recognized. Every legacy farm recipient was invited to the Heritage Day celebration where certificates were handed out. Permanent legacy farm signs proudly hang from farm posts and alongside driveways throughout the Township. The ‘Settler’s Trail’ project commemorated the route of the original trek by the original settlers, War of 1812 veterans and others from Brockville to the Perth Military Settlement. The trail was symbolically unveiled at the Rideau Ferry Dock Bridge, close to the actual embankment and an interpretive panel brings to life the events and the journeys that so many had made. Tay Valley and Drummond/North Elmsley collaborated on this project and the drivers are reminded of this trail when they enter both Townships along this route. 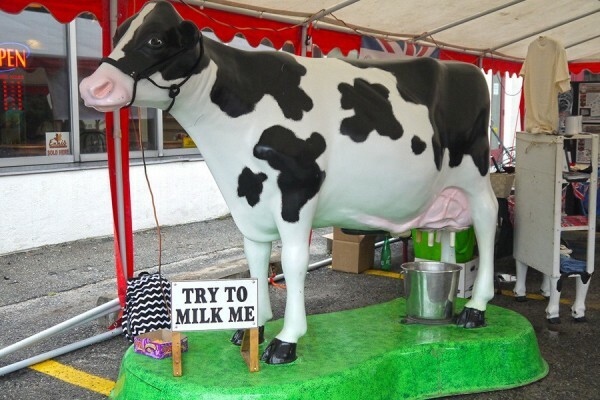 The ‘Celebrate Balderson’ weekend in july highlighted the dairy heritage of the area and Balderson’s most famous export on a nice summer weekend. 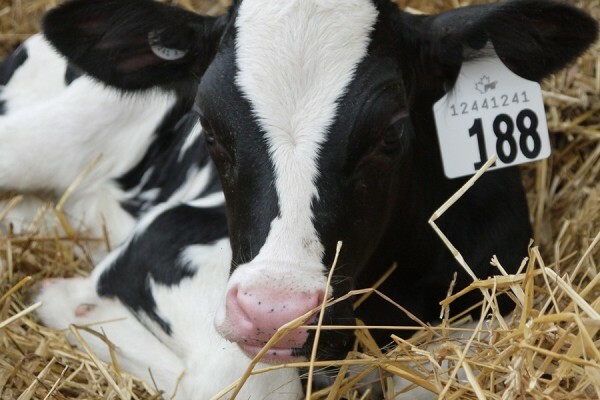 The celebration was a locally and volunteer driven occasion put on with the help of the Lanark County Milk Committee, local 4-H clubs, churches and residents and included displays, special church services, community meals and lots of milk and ice cream. The displays included a replica of the Mammoth cheese, which was a 22,000 pound curd produced from the milk of local farmers that originally traveled to the World’s Fair 1893 in Chicago. 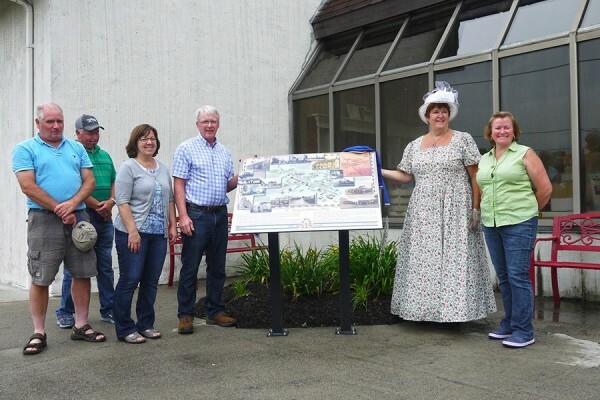 A historical panel highlighting the people, places and industry of this beautiful village was unveiled at the Balderson Cheese Factory building and will be a permanent legacy for the community.